Like your favourite film or television show, videos have a way of transporting the viewer. The feeling, movement, sounds and emotions are all there, holding our attention and welcoming us into a new world. With video applications sprouting up across social networks over the past year, it can be daunting to decipher how to use these applications and how they will add value to your business’ marketing efforts. Here we’ve outlined four ways video can help boost your social media strategy. Videos are a great way to give your customers a behind-the-scenes look at your business. Hearing a person’s voice and seeing them live brings a whole new level of familiarity to an audience. Whether, using Instagram Stories, Snapchat or Facebook Live, showing the steps of a regular day at the office, the way a product is designed and built, or live video snippets at an event, the customer gets a true sense of the people behind your brand and the passion and dedication that goes into your work. By providing an unfiltered real time look at your company, videos also help to humanize your brand and highlight its authenticity. Using tools such as Instagram Stories, gives you exclusive content for the relevant channel. You can let followers on your other social networks know that you will be sharing a contest, an early product reveal, or special announcement exclusively on your Instagram account. Since your story will only be visible for 24 hours, your customers will be more inclined to follow and check out your account to ensure they don’t miss any special updates. Ever wish you could respond to your customers’ inquiries in real time? Or get consumer feedback before a product hits the shelves, with video tools your wish has been granted! 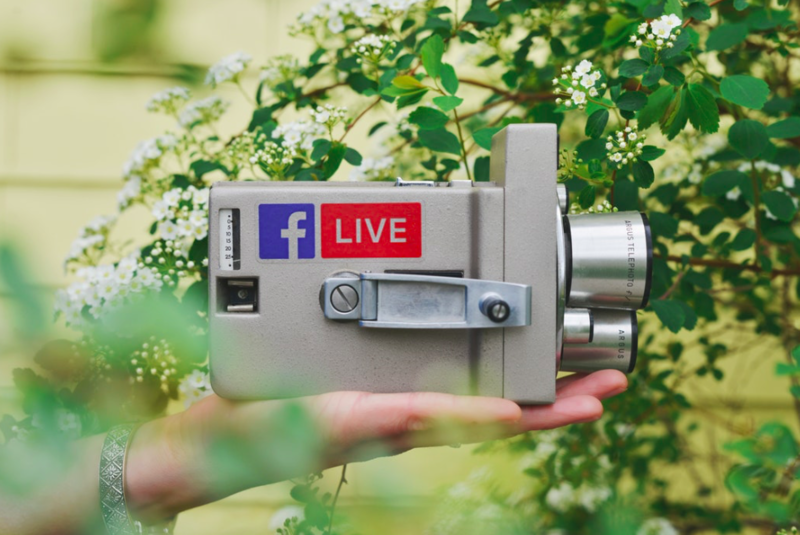 With Facebook Live, your video remains on your page indefinitely, however, the filming process allows you to broadcast live to your customers and receive their comments and inquiries instantaneously, thus creating an excellent platform for Q&A’s, demonstrations and in the overall building of relationships with your customers. Instagram Stories only stay live for 24 hours, but also allow for viewers to send direct messages from within the video. This too helps in developing that real-time, direct response, personal rapport with your customers. Snapchat has also changed the course of customer service by introducing a new way to interact face-to-face with your customers and provide them the help they need. By using Snapchat your customers can directly show you what problems they’re having and within a matter of minutes, they will receive your video response detailing what solutions need to be applied. At a special event, tradeshow, or even a particularly eventful day at the office it can be tempting to share every moment with your audience/customers. Unfortunately, if we always gave in to these temptations, we’d be left with over saturated accounts and frustrated followers with a flood of content hitting their news feeds. This is where short-term video tools become an ideal alternative for sharing timely news and images. You can share snaps and updates throughout the day and followers can watch, rewind, and pause within the allotted 24 hours. Your posts will also gain maximum exposure on tools like Instagram Stories, where videos remain at the top of followers’ news feeds, requiring minimal scrolling. And, in an added bonus, your page will also benefit and retain a visually pleasing aesthetic, by not displaying an overload of photos from one specific day or event. Have more questions? Don’t know where to start with your business’ social media strategy? Suite 203 can help. Contact us to start boosting your presence in this increasingly social world.